Credit card terminals let businesses such as retail stores and restaurants process credit cards efficiently and securely. They can be set up to accept credit cards, debit cards, and even gift cards. An essential addition for any new business and, thankfully, adding the ability to process credit cards is now relatively straight-forward. 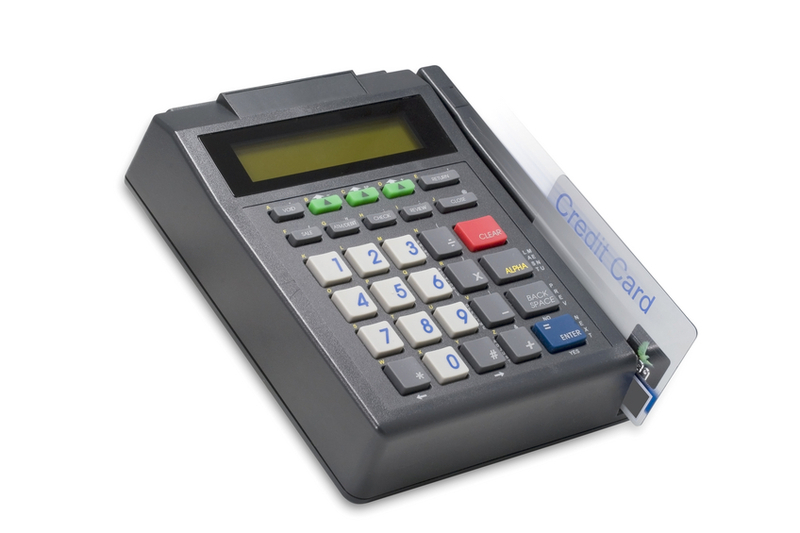 Traditional credit card terminals — Includes a magnetic stripe reader, keypad, small display, and printer. If you plan to accept debit cards, a separate PIN pad lets customers type in their code at the time of sale. You can also order different sized displays and keypads with extra keys to preset common functions. Wireless credit card terminals — Features a built-in printer for the convenience of taxi drivers, seasonal businesses, and electricians. Virtual credit card terminals — Requires software to handle transactions over the phone or Internet in lieu of physical terminals. The costs of a credit card terminal are relatively inexpensive. Most of your expenses will be the ongoing fees you pay a merchant account provider to process transactions. Make sure you select the best merchant account provider with the best mix of price and customer service. As you evaluate different merchants and offers, you may be tempted by very low introductory pricing and even completely free credit card terminals — these can indeed be excellent offers but it’s important to weigh the complete offer carefully, inclusive of all fees and pricing over the lifetime of your agreement with the merchant. How many credit card terminals do you need? Will you require an integrated printer with the credit card terminals? Will you need to process debit card transactions or just credit card transactions? What is your current monthly credit card processing volume? What is your timeframe for installing your new terminal(s)? Would a wireless terminal be beneficial?